If I have learned one thing in marketing, it is that people love free stuff. We all like to feel like we are getting a great deal, and freebies help us to feel that way. Why is Amazon the fastest growing internet company in the world? Free Shipping. They have Free Super Saver Shipping on orders over $25, and Amazon Prime is free two-day shipping anywhere (I just recently finished my one year free trial of Amazon Prime as a student, and I miss it). Many online companies offer free shipping, and aside from super-companies like Amazon that seemingly need no profit margins to grow, most all companies build some portion of that shipping price into the sale price before making it “Free Shipping.” So, as the old saying goes, “There’s no such thing as a free lunch.” We all know this. We know that companies we buy from are not charities, but we like feeling like we are getting a good deal. Free Shipping is also great, because it allows you to compare prices more easily then having to get shipping quotes. I got to thinking about this whole freebie thing, because of my recent trip to the Louisville Slugger Museum. 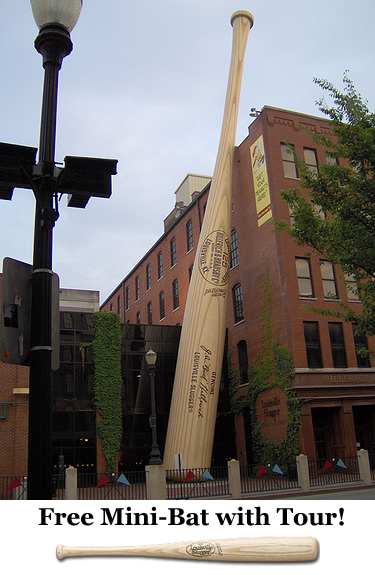 You get a free Louisville Slugger Mini-bat as part of the tour. The mini-bat costs $20 on the website, but we all know it doesn’t cost much to them (it is made from the wood that did not meet quality standards for professional bats). I never would buy one of these mini-bats, but I was really happy to get one as part of the tour. It provides a tangible reminder of an enjoyed experience. That is its value. Every day that I see it in my home, I think about how cool the museum was. And, thus, I have succumbed to marketing. 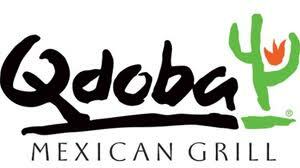 …or Qdoba’s rewards card that gives you a free burrito for every 10 you buy. Free Stuff helps to bolster customer loyalty, and it encourages larger purchases. Another great way of companies giving free stuff is free accessories. All of us have made a purchase at some point where we bought something, and then were surprised to learn that we had to spend a crazy amount on accessories. You parents probably know all about buying your kid that fancy game system only to discover that it needed another controller, cord, memory chip, hard drive, etc. I think it is great when companies throw in the accessories with the purchase of the product instead of nickel and diming you to death. Whether that is a free filter with the purchase of an ice machine, an extra controller with an X-box, or a starter kit for a home espresso machine, free accessories are a great deal. What companies offer freebies that you find appealing? Do you appreciate the customer loyalty awards? Tell me on the comments.